Written between 1994 and 2009, is a memoir of global travel and an unfulfilled college crush. The book follows the narrator out of school and across the Pacific. At only 23 he has command of a 68-foot Burmese-teak ketch built in Scotland thrust upon him. The owner is on a voyage home to his death, and along the way they hire sailors twice the skipper's age. 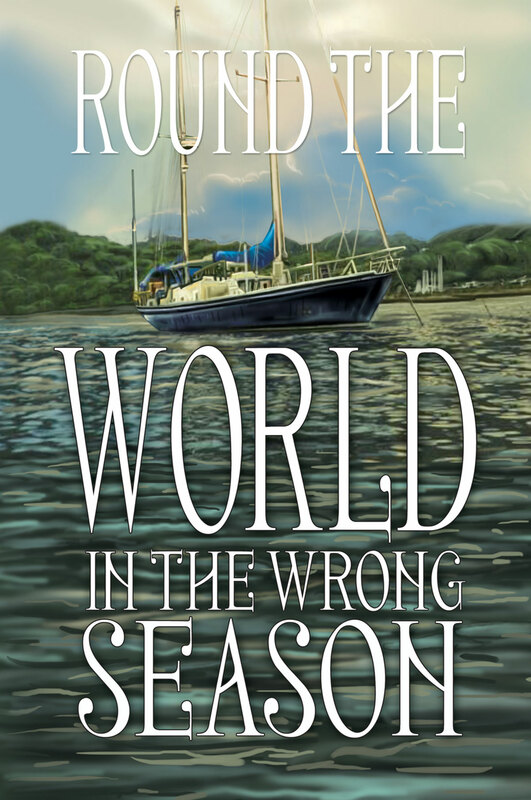 They make it to New Zealand in a storm which sinks seven yachts, then spends months shearing sheep and writing a memoir. By the time the narrator makes a rendezvous with his college sweetheart (who has been teaching Thai students on the Burmese border), she seems to have all but forgotten him. This leads to a less than satisfactory denouement and puts at least one of them in the hospital. The book includes extensive photographs and hand-drawn charts and a detailed bibliography. It is over 400 pages in length, perfect bound in cloth. "There is no vanity in this story. Appropriately, there is self-deprecating humor. "